My wife’s friend, Megan, recently shared a story about the first time she visited a Chinese restaurant many years ago. Clearly, Megan needed to be more specific to have her problem solved. The same may hold true if you are looking for help in solving a personal, emotional or behavioral problem. You can’t just identify relationships as the source of the problem, you’ll need to specify the type of relationship involved. In “Three Very Good Reasons” I wrote that Dr. L. Alan Sroufe and his colleagues have presented scientific evidence showing that troubled relationships cause personal, emotional and behavioral problems including mental illnesses. Going a step further, they also showed that specific relationships cause specific problems—and, there is a good explanation for this. People act differently in different situations. One reason for this is that these different situations place different expectations on us and our behavior. And, because different relationships are also different situations, these other relationships also place separate expectations on behavior. The net effect is: You behave differently in different relationships and it is your behavior or the behavior of others that is the source of your personal, emotional and behavioral problems. For example, suppose you know a person who is unable to keep a job and his lack of work is causing a special problem for you. Instead of looking at that the individual’s character traits such as laziness you need to look at that person’s interaction within the work relationship. You need to look to the various demands the work relationship places on the individual and why he is unable to meet them. Narrowing in on these issues allows you to deal directly with the problem. Because personal, emotional and behavioral problems reside in one or another of your various relationships, to correct your problem you’ll first need to identify the specific relationship that is the source of the problem. This relationship needs no explanation. This relationship also needs no explanation. Friendly relations can occur with anyone and in any of the other relationships. Often in children these relationships are referred to as peer relationships. Intimate relationships have most characteristics of friendly relationships. The only major distinction is that both parties usually agree, mutually and exclusively, to satisfy each other’s needs. Family relationships can have several subsets. 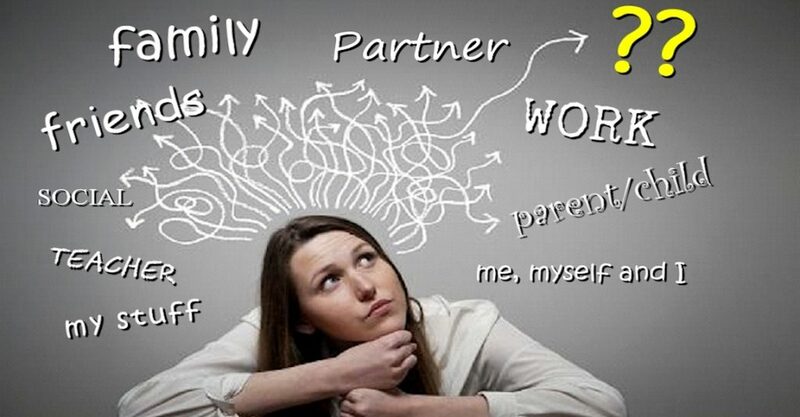 Sibling and parent-child and adult-child are subtypes of major focus. Relationships with those we commonly refer to as “relatives” e.g. in-laws cousins etc. are also included. Relationships in this category usually refer to activities where one agrees to do labor for another. Usually this for compensation but volunteer work is also included. In this form, children and their relationship with school-work is also included. This type of relationship refers to the person conducting himself within the general rules expected of all citizens. This involves legal and illegal activities. This kind of relationship is one you rarely think of as being a “relationship.” This one is about a relationship with your self, usually conducted through thought, self-talk and introspection. Because it occurs mostly in one’s head it is not observable and therefore difficult to explain. This type of relationship involves an interaction with something that has a physical presence, other than human, e.g. animals, cars, computers, radio, TV., games. It’s the kind of relationship than can enhance relationships with others. For example teams of people form over things like bowling, car clubs, baseball, basketball and card games such as bridge. This relationship can also take the form of solitary activities such as computer games, model building and watching TV. In previous articles we identified it is your relationships are the source of personal, emotional and behavioral problems, This article pointed-out that specific relationships are the cause of specific problems. The purpose in identifying the exact relationship in which the problems occur is that it allows you to address your personal, emotional and behavioral problems in a specific and efficient way: It brings into play the specific relationship and its demands made on the people in that relationships. It is these demands that are at the source of your problems.